Most people thought antisemitism had been relegated to the trash bin of history after Hitler and millions of his willing German-Polish-Austrian-French-Swiss-Belgium executioners, with savage premeditation, murdered six-million Jews in the 1930s and ’40s, and the world, significantly after the fact, seemed to wake up to the psychotic, irrational, obsessed nature of Jew hatred. Why? 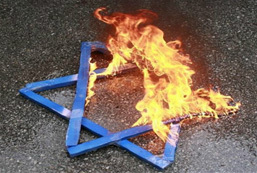 One reason is that Jew hatred didn’t really disappear after World War II. It simply went underground because people were chastened enough by the sight of crematoria-charred remains and cadaverous survivors to hold their tongues.